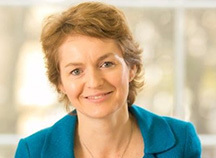 Anne-Marie Harris joined the GSG in April 2018 as COO. Prior to that she was at Bridges Fund Management which she joined in 2006 and where she was a partner in the Sustainable Growth Funds leading a number of successful investments and exits. She has therefore been involved in impact investing for over 10 years and is passionate about the role that private or philanthropic capital can play to deliver positive societal change. Anne-Marie also currently serves as a Trustee of the Bridges Impact Foundation and is Treasurer of Theatre for a Change UK whose goal is the empowerment of marginalised women and girls primarily in Africa. She is also a non-executive member of the Investment Committee of Palladium’s West Africa Impact Fund.